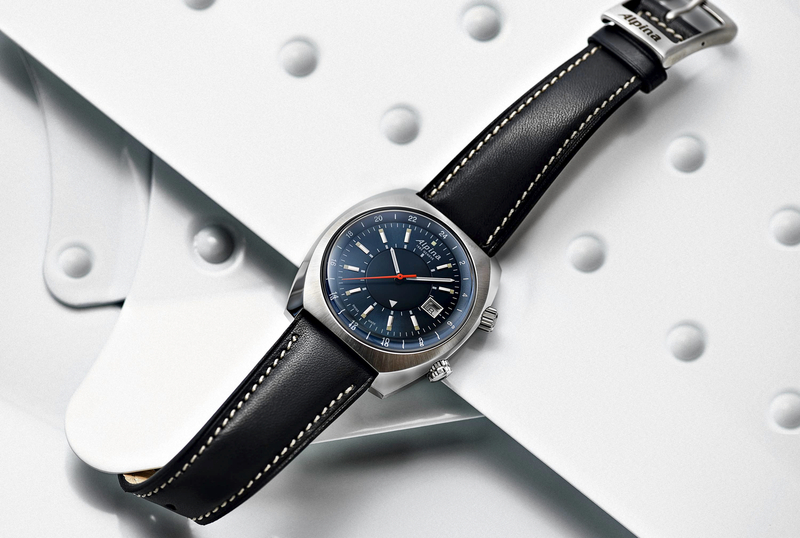 Alpina recently introduced a new Startimer Pilot watch model that has a unique dual-crown system with a GMT function, which at first glance, makes the watch look like an alarm watch, which it’s not. Presented in a 42 mm x 40.75 mm stainless steel case the Startimer Pilot Heritage GMT comes in four dial colorways: copper-colored, dark gray, light blue, and navy blue. Each dial has silvered, faceted indices on the main dial, white baton-shaped hour and minute hands, an orange sweeping central seconds hand, a 24-hour reference scale on the flange, and a second-time-zone display via a disc in the center of the dial which uses a printed white arrow and white printed indices to show the time in an additional time zone of your choice, controlled by its own crown. Driving the hours, minutes, seconds, GMT, and date functions is a Sellita-based automatic movement (caliber AL-555) which beats at 4Hz, has 26 jewels, and a 38-hour power reserve. 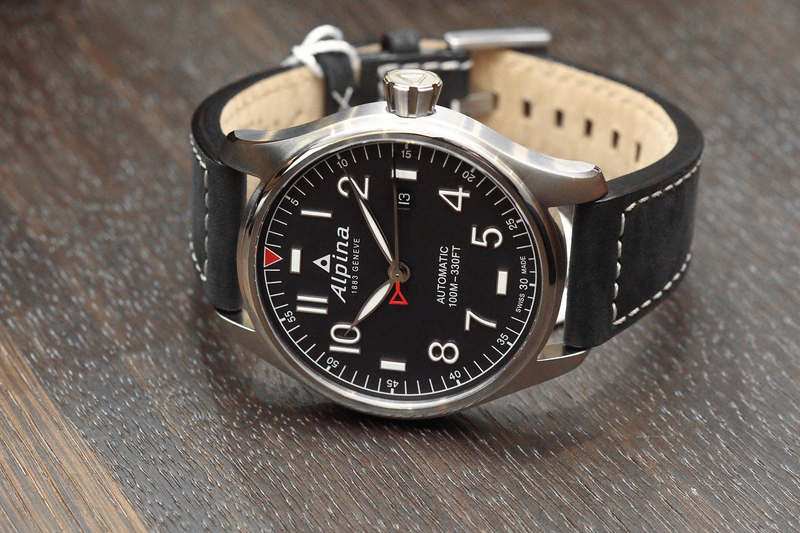 Alpina makes their own movements but at this price point, you’re going to get a movement that’s been outsourced to keep the costs down. 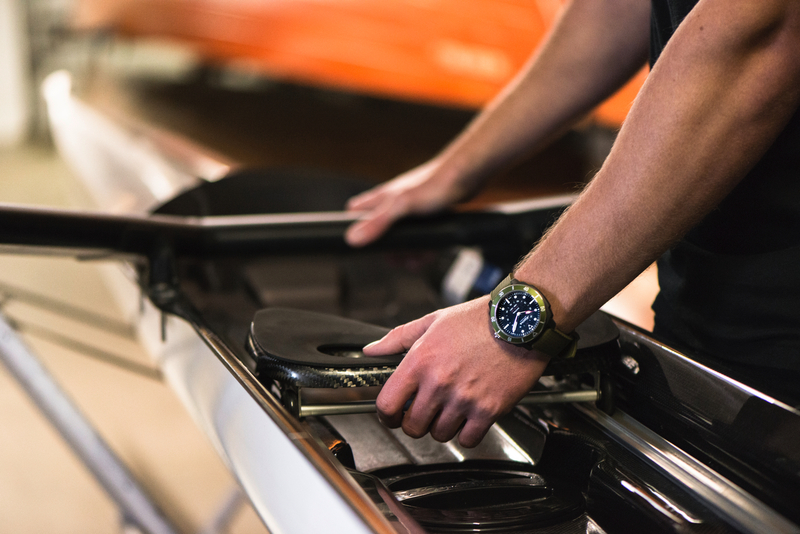 The Startimer GMT features oversized dual screw-down crowns, a solid caseback, and is water-resistant to 100 meters. Comes with either a brown or black calfskin strap with a unique pin buckle that has one of the keepers built-in to the buckle itself, although this may be more a nuisance than an advantage. 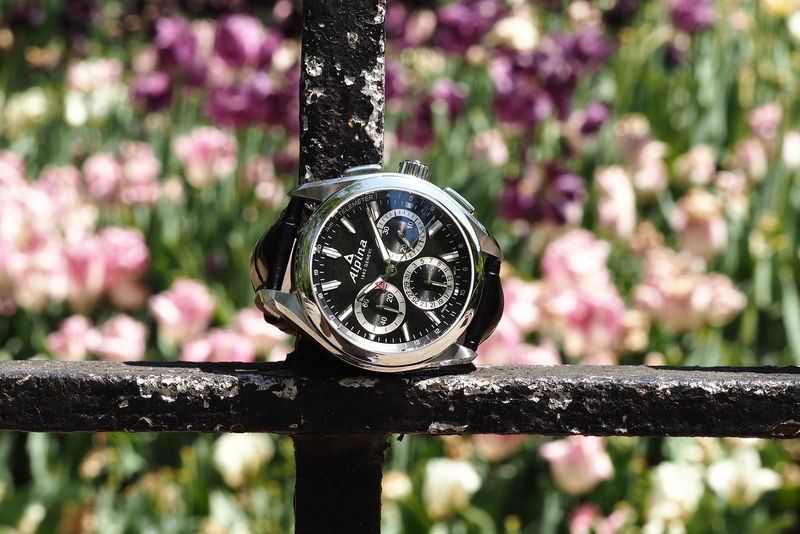 This has been a big year for watches with GMT functionality, and Alpina has created a unique and affordable option within this category that’s hard to ignore if you’re in the market for a new GMT-equipped wristwatch on a budget of $1,500 or less. (Ref. AL-555LNS4H6) Retail is $1,395. Previous articleH. Moser & Cie.Is Moser's Vantablack dial so dark you cannot even read the time?